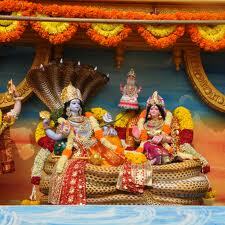 Vaikuntha Ekadashi is Coming on 30 December 2013. 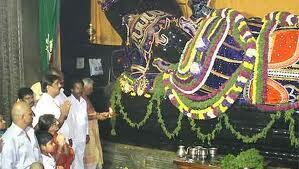 Vaikuntha Ekadashi falls in the month of Marga-seersha (December-January). This is observed with all solemnity in the temples of Lord Vishnu. Fasting is prescribed on all Ekadashis, that is, the 11th day of the lunar fortnight, twice a month. In this Kali Yuga, even if just one Ekadashi is observed with dispassion, faith and devotion, and if the mind is wholly fixed on Hari, one is freed from the rounds of birth and death. There is no doubt about this. The scriptures give us their assurance on this point. No rice should be taken on Ekadashi days. This is very important. 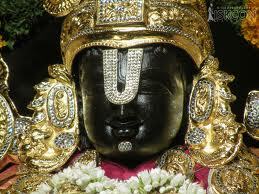 The sweat that fell down from the head of Brahma assumed the form of a demon and said to the Lord, “O Lord! now give me an abode to dwell.”Brahma replied, “O demon! go and dwell in the rice particles eaten by men on Ekadashi day and become worms in their stomach.”For this reason rice is prohibited on Ekadashi. If one observes the Ekadashi fast regularly, Lord Hari is propitiated. All sins are destroyed. The mind is purified. Devotion gradually develops. Love for God becomes intense. Orthodox people in South India observe complete fasting and vigil even on ordinary Ekadashi days. For the devotees of Lord Vishnu, every Ekadashi is a very sacred day. 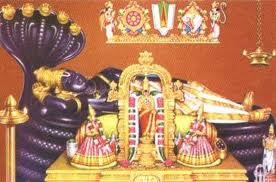 Vaikunta Ekadasi is an important festival dedicated to Lord Vishnu in the Tamil month of Margazhi (December-January). Vaikunda Ekadesi festival is of great significance at the Tirupati Balaji Temple, Srirangam Sri Ranganatha Temple and at the Bhadrachalam Temple. In Kerala, it is known as Swarga Vathil Ekadashi. Next Vaikunta Ekadasi date is January 5, 2013. The significance of Vaikunta Ekadasi can be traced back to the Padma Purana. The Purana indicates that Lord Vishnu took the form of ‘Ekadasi’ – female energy – to kill demon Muran. This happened during the month of Margazhi. Impressed by ‘Ekadasi,’ Lord Vishnu told her that whoever worships him on this day will reach ‘Vaikunta’ (heaven). 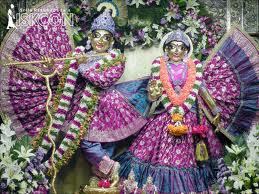 Like all Ekadasi days, devotees fast on this day and observe vigil the whole night. Some people indulge in meditation, Japa and singing of Hari Kirtan. Rice is avoided during ekadashi days as it is believed that the demon Mura finds a dwelling in the rice eaten on Ekadasi day. It is widely believed that the gates to the heaven open - the Gate of Vaikuntha - on the Vaikunta Ekadasi day. 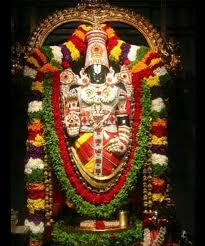 It is one of the most auspicious days in Lord Vishnu Temples in South India. The ‘Vaikunta Dwaram’ or ‘the gate to the heaven’ is opened on this day. 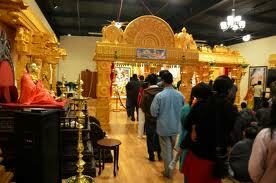 This is the passage encircling the innermost sanctum of the Lord. Scores of devotees queue up to pass through the Gate of Vaikunta in the temples. Vaikunta Ekadashi falls on the eleventh day in Margazhi Shukla Paksha in Tamil Calendar and in Telugu Calendar the same period is Pushya Shukla Paksha. Wake up early in the morning. Take bath and offer prayers. You can perform a simple puja to Lord Vishnu at home by offering fruits and Tulsi leaves. You can just light the lamp and prayer or meditate for few minutes – or the normal ritual you do daily. Only difference is that today it is dedicated to Lord Vishnu. 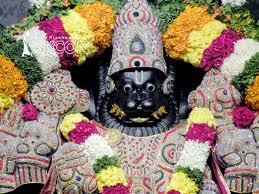 If there is a Vishnu temple nearby visit the temple and witness morning pujas and rituals. Complete fast or upavasam on the day is the main observance.